John Birkhofer got his start in officiating when someone pulled him aside on a military base in Germany with a simple question. "He asked me if I knew anything about football, and I said okay," John said. "It was six dollars a game, but I was young and could use the extra bucks." John spent a couple years overseas working games on the military base before returning to Portland. Football season rolled around and sitting on the couch watching the game was no longer enough. 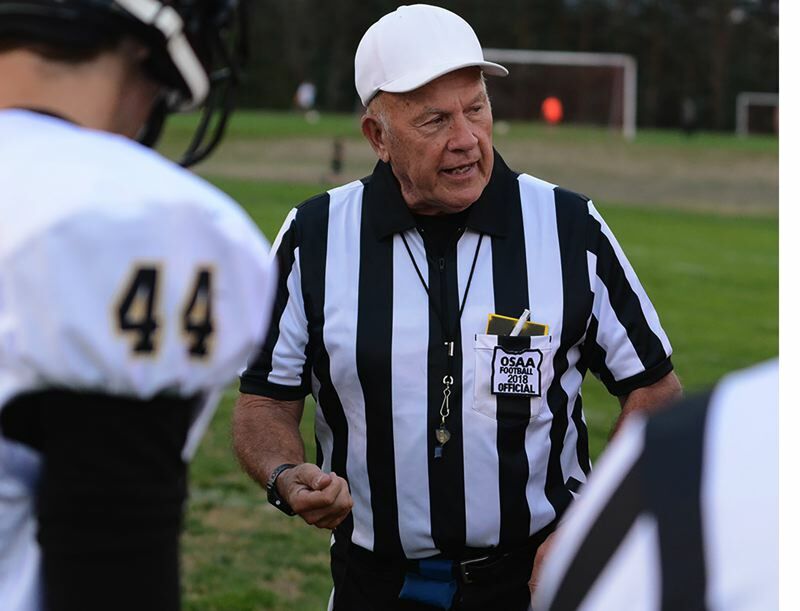 He stepped back into the stripes and has been a fixture on the area high school football fields and basketball courts ever since. John spent his working career as the General Manager at Columbia Steel in North Portland, but has continued officiating into retirement with no plans to hang up the whistle. "I've been blessed with good genes. Health-wise I'm fine, so why give it up?," John said. "Plus, the extra money pays for my golf." But keeping the rules isn't the easiest of jobs, and the OSAA is suffering a shortage of area officials across its mix of sports. "The number one reason we are given by young officials who quit after a year or two is the verbal assaults they get primarily from parents," John said. "People see something on TV on Sunday and they react not knowing that high school rules are different." One of those younger officials happens to be John's son Scott Birkhofer, who is in his 10th season calling football games. 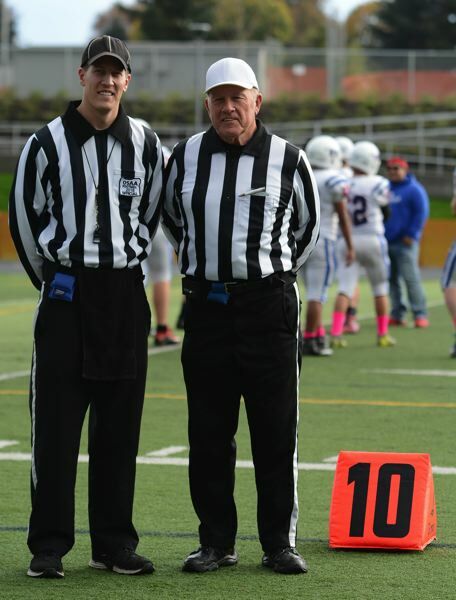 Several times each season, the father-son duo find themselves on the same field, as was the case a couple weeks ago calling a middle school game in Milwaukie. "My dad has been doing it for a really long time, so after I graduated officiating was a way I could get back to sports," Scott said. "I'm finding I enjoy it more and more, and it gives me a chance to hang out with my dad in a different capacity." Scott was a standout prep athlete at Portland Christian and went on to a highly-successful career at Linfield where he still holds the record for the longest field goal at 56 yards. One of his biggest draws to officiating was the chance to get back into that competitive environment. "As an adult, you are never in a situation where the stakes are real. You can go play pick-up hoops, but there's nothing riding on it," Scott said. "Officiating puts you back into that atmosphere where the result matters." The two will be traveling to Hermiston for the small-school semifinals Saturday with Scott serving as the field umpire, while John will be filling an alternate's role. Kickoff for all games is 7 p.m. This full version of this story appears in our Friday, Nov. 16, print edition.